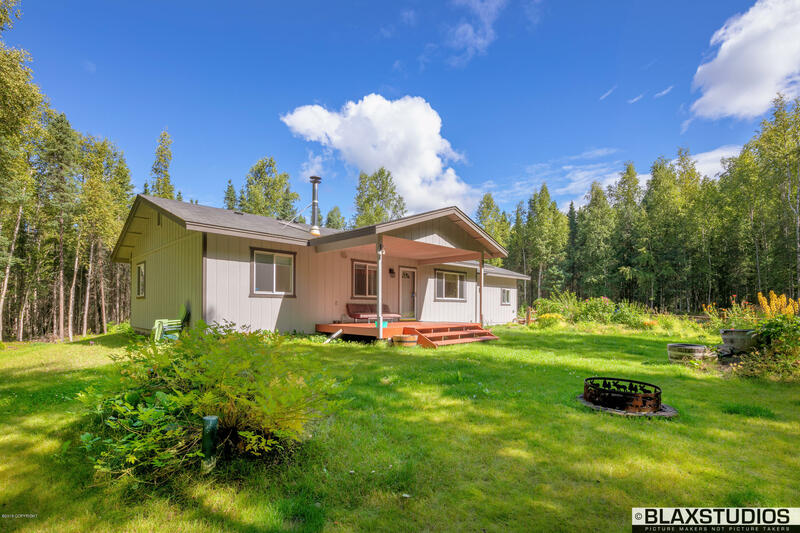 Super private Alaskan Home on close to 10 private acres. Private oasis outside; Beautiful landscaping featuring raised beds, greenhouse, flower gardens, fenced garden area and a fire pit! Features like engineered hardwood floors, gated driveway, open concept and vaulted ceilings! Relax by the woodstove or gas fireplace after a good days work! Buyer to verify all information.